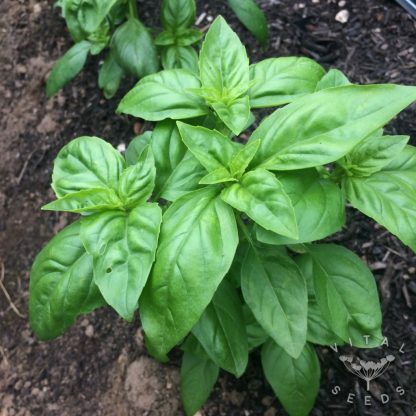 The classic basil variety, very productive, aromatic and perfect for all culinary uses, especially making pesto. With large bright green leaves and a smell to die for this is an essential addition to the veg plot. 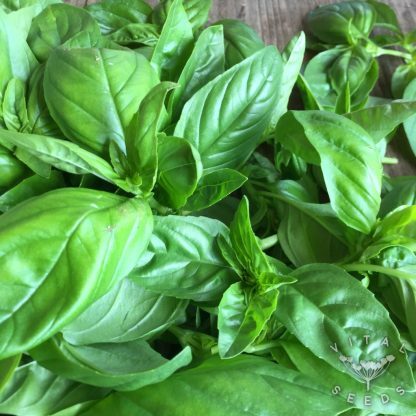 We think you cannot grow too much basil, we use it in almost every meal throughout the summer months. Genovese makes the most superb pesto; aromatic without being overpowering, we eat it throughout the winter months giving us a window of sensation back to the summer at a much-needed time. A robust, trustworthy variety of The King of Herbs with the perfect balance of aroma and subtlety. If you are growing tomatoes you will undoubtedly want to grow basil in amongst them. And Genovese is the basil to grow. It yields between 7 to 8 cuttings before it is finally exhausted and . A tender annual herb, this is a very robust variety that grows quickly and abundantly.